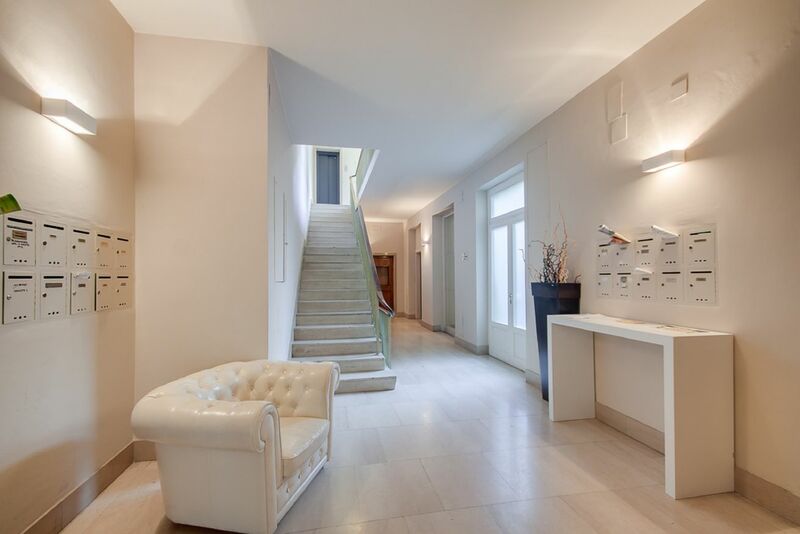 Bright and spacious apartment in an amazing location just steps away from the Ponte Vecchio. 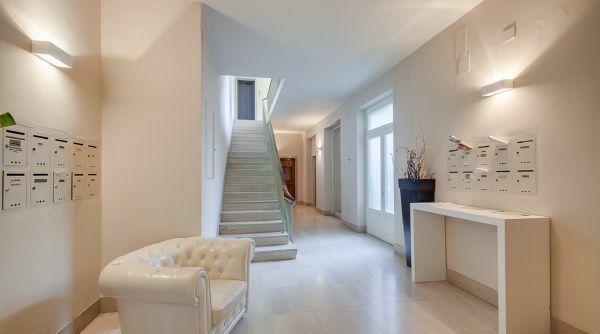 This beautifully furnished 3-bedroom, 3-bathroom apartment is located on the 5th floor of an elegant building with elevator designed by the famous Florentine architect Michelucci who projected the central station of Florence in the 1930’s. 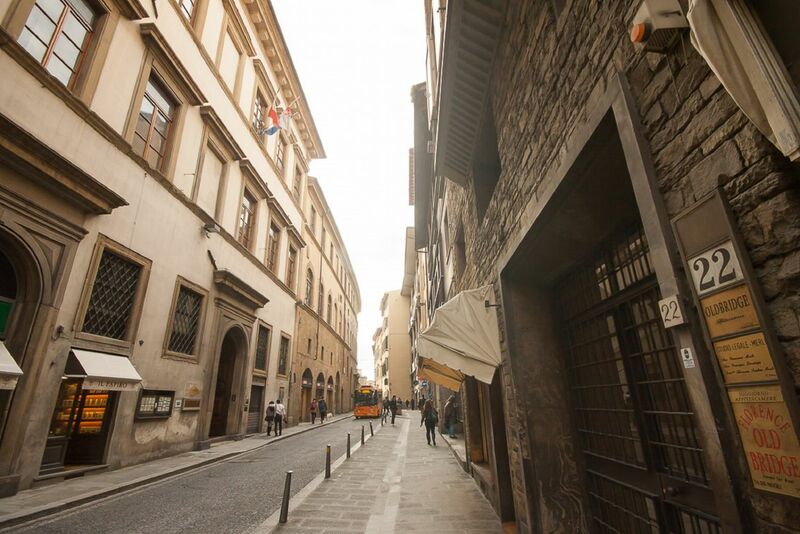 Situated on Via Guicciardini, a prime location right near the Ponte Vecchio and Palazzo Pitti. It is a wonderful starting point for exploring the landmarks of the historic centre. 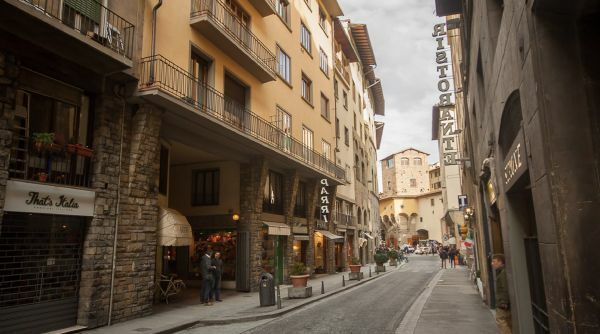 In this charming district of the city you will find some of Florence’s most renowned restaurants, cafès and boutique stores. Recently renovated, the apartment is flooded with natural light. 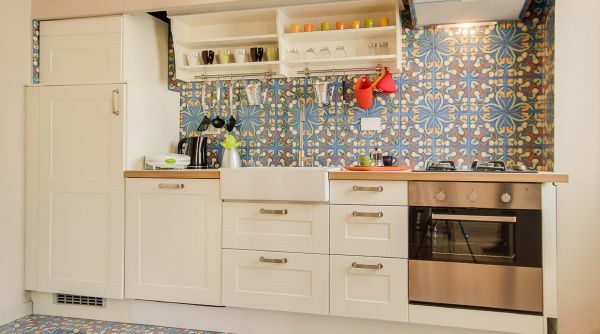 Decorated with attention to detail, the color palette is bright and cheerful creating a happy atmosphere throughout the home. The open and spacious living room offers wonderful space for relaxation. 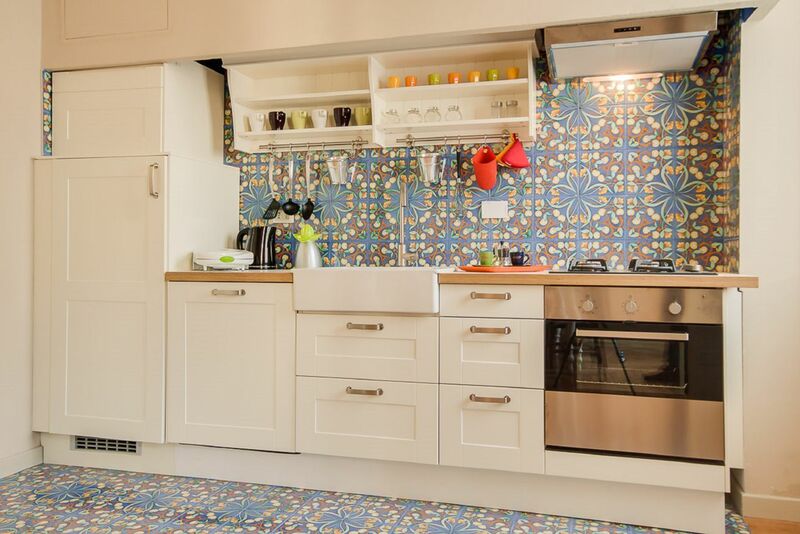 The fully equipped kitchen with beautiful hand painted ceramic tiling is spacious and has a view onto the typical rooftops of the city. The bright master bedroom has a comfortable double bed and an ensuite bathroom. The second bedroom, with a charming outdoor balcony, has 2 single beds that can be joined to make a double. The third bedroom also has 2 single beds and a small outdoor space. The comfortable drawing room has lovely views offering a space of peace and tranquillity. Located at the far end of the building, the apartment is quiet and private. 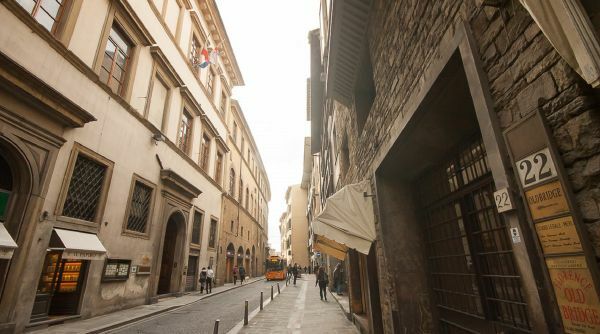 A lovely home in the historic center, this spacious rental is a wonderful choice for those wanting to experience a tranquil stay in Florence with all of the comforts of a real home. 02/07/2018 - Excellent apartment for family in the middle of everything! We were a family of 6 staying for a few days in Florence. We used this agency twice in the past and found them very reliable with the best selection of apartments. Niccolò helped again this year and recommended Carolina. It was absolutely perfect for our needs and so close to everything we wanted to see in Florence. I would highly recommend this agency to anyone looking to stay at a first rate apartment in Florence. I know my family and I will be back again soon and will definitely call them for arrangements. 03/02/2018 - Well equipped and great location! We really enjoyed our two week stay at this lovely apartment in the heart of Florence. 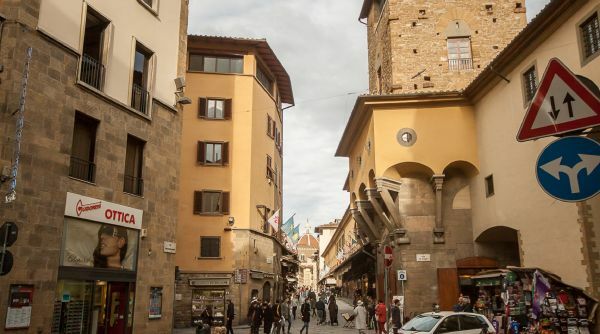 This was our 3rd time to Florence and we just wanted a relaxing long term rental ( as part of our 30 day vacation across Italy). The apartment was very spacious. The beds were all VERY comfortable. The kitchen was well equipped and the location of this apartment is second to none! It was so nice having so much space and an apartment that felt like home. One of the heating rads on the bathroom fell during our stay and it was fixed promptly and efficiently. The front room with the two beds needs some sort of black out curtain on the window/door..too bright too early in the morning and the lights from the neighbours flick on and off all night...moved our kids to the other room , that they had to share so they could sleep soundly. The living room furniture needs to be replaced sooner than later...but none of that would dissuade from us booking again. We would stay here again and plan on it! Felt very safe and we really enjoyed ourselves. Thank you! The apartment is very spacious for 6 people , but need some furniture in the livingroom. The old town is on the doorstep. 30/09/2017 - Beautiful and spacious aoartment in a fantastic location. The apartment was much bigger than we expected, in a great location. 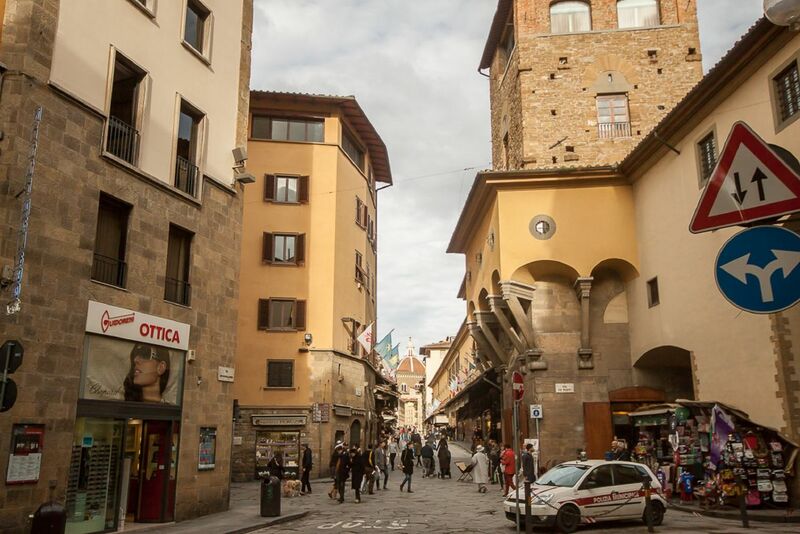 It was very close to many of Florence's main attractions. The views are wonderful from every window. The sunsets from the liivng room and the master bedroom were breathraking. It is great for a family or a trip with friends. The beds were comfortable enough. My only suggestion is to upgrade the living room furniture. It is not nearly as nice as the one from the picture. However, that would not stop me from renting it again. The apartment is very spacious and inviting with large rooms and beautiful interiors. The kitchen looked like new and inspired us to have a dinner at home rather than going to a restaurant. 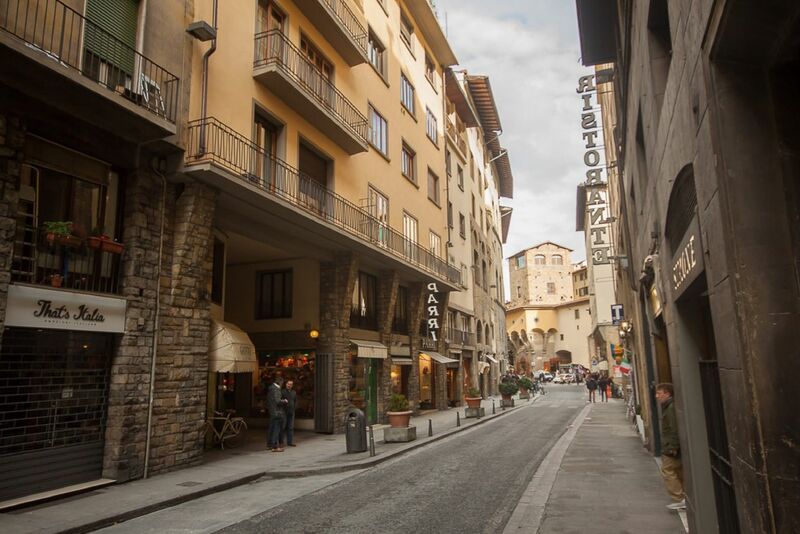 It is a very quiet place and within a 1 minute walk you find yourself on the Ponte Vechio and most major attractions of this beautiful city. To be recommended!